ELIGHT 20 GSM U-Cut Non Woven Carry Bags are made of superior quality 100% virgin fabricwhich gives it a Glossy Finish with High Strength unlike any other product in the market. Manufactured using German Machinery and latest technology for sealing. These bags are Eco-Friendly in nature as they satisfy the 3 R's [ Reuse | Recycle | Reduce ]. Shopping Bags, Carry Bags, Grocery Bags, Gift Bags, Promotional Bags, Supermarkets, etc. 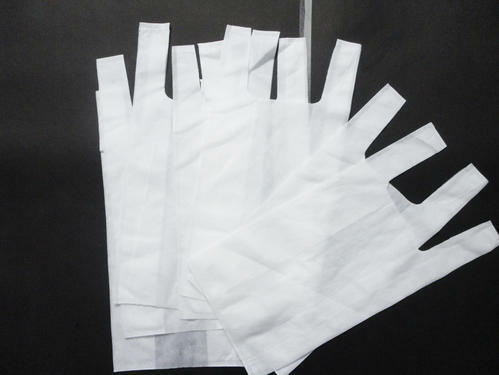 These Bags are also known as W Cut Non Woven Carry Bags, T-shirt Cut Non Woven Carry Bags. NOTE: If there is any other question regarding product quality or anything like delivery time, Please feel free to give us a call. Packaging Details Elight Branded Packaging - 100 Pieces/Packet.